Dentist Santa Clara - Skilled Family Dentistry in Santa Clara, CA Area with Shoker Dental Inc. 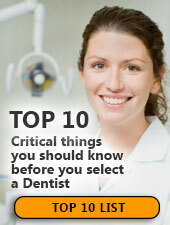 Selecting a qualified family dentist is so important. Santa Clara area dentistry with Dr. Devinder Shoker is your choice to help your family get and maintain healthy teeth and happy smiles. At Shoker Dental Inc., we want to change the way you feel about going to the dentist. We are dedicated to making dental visits comfortable and satisfying for family members of all ages. At Shoker Dental Inc. we offer a range of dental treatment options, from a routine cleaning to more complex dental care. And it's all done in a friendly, relaxed environment. Everyone on our team will be happy to answer questions about more than just the basics. We're highly experienced in popular cosmetic services such as tooth whitening or veneers and can help you determine which method will provide you with the best results possible. There's never been a better time to turn your smile up a notch! We're committed to providing the gentle family dentistry you've been looking for. Fill out the form here on our website, or call us today at (510) 713-7333. Our friendly staff will be happy to schedule an appointment where you can learn about all of your options. 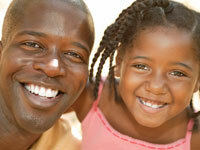 If you're looking for a highly-trained family dentist in Alameda County you've come to the right place. Dr. Shoker offers family dentistry that Alameda County residents depend on for the highest quality dental care.